Today in the age of technology and availability of online tutorials many people prefer doing the things themselves. When people feel trouble with a problem in their gadgets, automobiles, or computer, they try to fix it themselves before consulting a professional. However, fixing the electrical issues yourself is a high risk to life and property. It is essential to hire a licensed and professional service for all the electrical problems that might occur in residential and commercial properties. Let us check some best reasons for hiring a professional electrician. 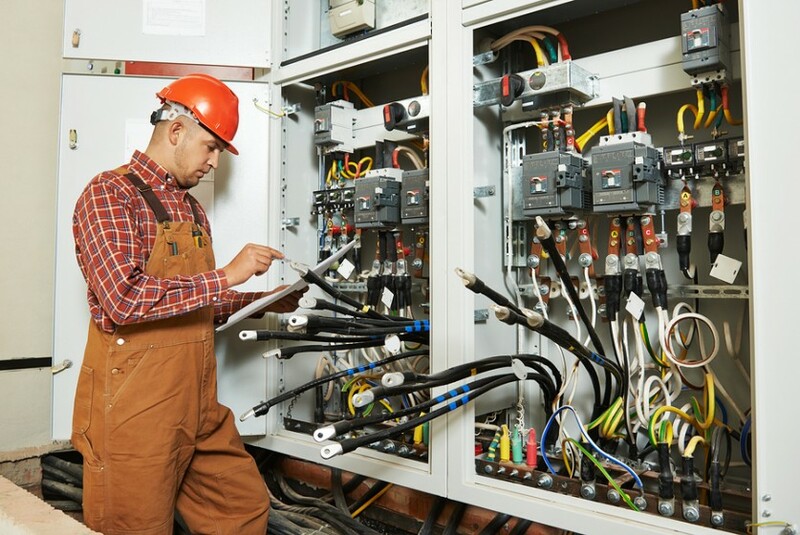 Professional electricians are skilled and experienced to work on live wires and high voltage equipment. People who try to fix the electrical issues themselves lack the skills, knowledge, and experience required to handle the equipment. Of course, one can gain understanding from online tutorials but not skills and experience. Due to this, they might not be able to fix the issues correctly. A professional can do the job perfectly and may also provide warranty for the same. When a fault occurs in the electric circuit or an appliance does not work on a socket, it is difficult to know which circuit is faulty. Sometimes, there is a fault in the device while sometimes; there is a fault in the electric wiring. It is difficult to know the fault in the appliance as well as the wiring. In case of faulty wiring, you may need to repair or replace the wiring that is a challenging task. Qualified and experienced technicians have the knowledge of wirings and circuits, and they can tell the fault within a few minutes. Working on electrical equipment involves a high risk of electrical shock. Moreover, the malfunctioning of electrical equipment can cause a fire that is the main reason for fires in homes. There is always a possibility of mistakes while fixing the electrical issues yourself. Moreover, a single mistake or fault in the process may not be visible at the time of repair but may lead to dangerous consequences later. The professional electricians have all the tools and equipment to work safely on high voltage equipment. They check the fault with utmost care and work on it using the relevant tools to perform the repair. They take care of their safety as well as the safety of your equipment and home. The loose connections and worn electrical equipment are the reasons for fire breakouts in most cases. People who try to fix the electrical issues themselves may not be able to do the job correctly. Even a single loose nut or wire can lead to sparking and fire in the equipment. The fire may spread to other things in the house and can be dangerous for a family and property. A professional electrician takes care of the electrical equipment and performs the job with care to prevent from fire accidents that might cause due to loose connections. The home appliances especially electronic gadgets are sensitive to voltages. They need a proper range of voltage for their operation. A rise or fall in voltage can damage your electronic gadgets within a fraction of seconds. Even the electrical appliances like refrigerators, washing machines have electronic circuits that may damage due to voltage fluctuation. A professional electrician takes care of the voltage fluctuations and installs the necessary protection for your appliances. Hiring a professional can save you money. It seems odd as you need to pay money to the professional instead of fixing the problem yourself free of cost. However, the repair you perform yourself may not be perfect due to lack of knowledge and skills. It may require maintenance again and again for which you need to spend money. On the other hand, a licensed technician performs the repair accurately in the first attempt, and it may not need maintenance for years. It means that you spend money only once which in turn saves you money in the long term. The electrical board or department of local government prohibits you from making changes in the electrical wiring or electric meter installed by them. In case you change anything in the meter or circuits installed by the electricity board, you may be fined for the same. A licensed electrician knows what is permissible and works according to the regulations. Hiring a professional may save you from unwanted fines. When it comes to the installation of new wiring in a house or office, it needs proper skills and knowledge. No homeowner can think of installing the new wirings himself until he is a professional electrician or engineer. When you need a new installation for your home or a new floor, you must hire a licensed electrician. There are many potential dangers in performing the DIY repair or installation of electrical wiring and equipment. A professional perform any task with extreme care and accuracy. Getting the electrical maintenance done by a professional ensures the accuracy of work. With the relevant skills and years of experience, they can perform any electrical job with perfection and precision. Performing the electrical maintenance yourself does not provide you the assurance of work. Most of the companies offering electrical maintenance services in Australia offer a guarantee of their work. In case you hire a professional company or electrician, and you face any problem afterward, they fix it free of cost if it happens in the warranty period. However, in the DIY work whether repair or installation, there is no such guarantee. These are the top reasons to hire a professional electrician for any kind of electrical work. There are many companies in Queensland, Sydney, Brisbane, and NSW that offer high-quality electrical services. If you live in Queensland, it is better to hire an electrical maintenance QLD service than to do it yourself. Hiring a professional service guarantees you the quality of work, the safety of your equipment and security of your family.